Heat a large non stick frying pan over medium high heat and spray with oil spray. Cook the salmon for 3 minutes on each side or until cooked to your liking, then remove and set aside. Place the olive oil, lemon juice, mustard, salt and pepper in a small bowl and whisk until fully combined. To serve, flake the salmon into large pieces. 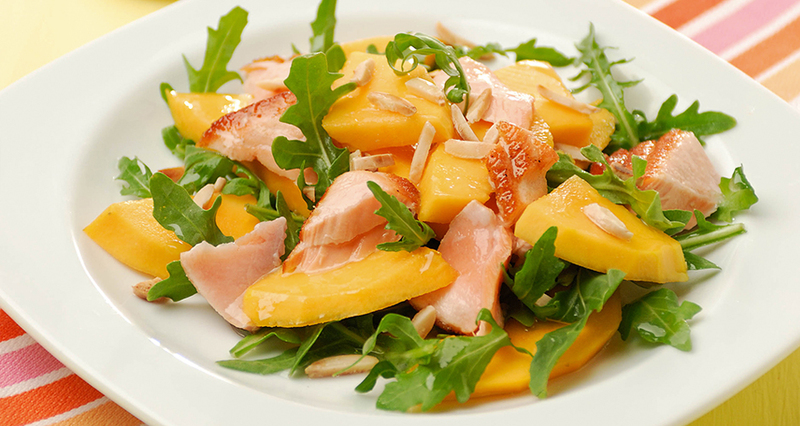 Arrange on serving plates with the papaw, rocket and almonds. Drizzle with dressing and serve.